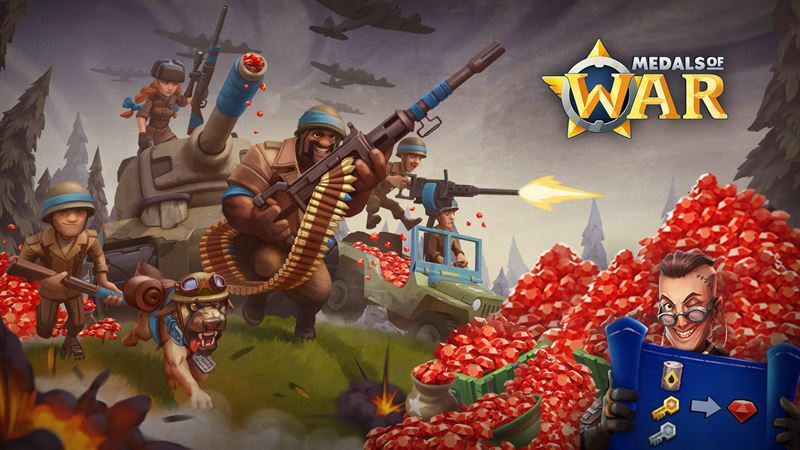 Nitro Games, a leading Finnish developer and publisher of mobile games, announced its latest game “Medals of War” has just received featuring by Apple in 73 countries, making it the widest featuring of the game to date. “We just released our biggest update so far to Medals of War. With this new version of the game, we’ve completely reworked the in-game economy, as well as added new gameplay content and features based on the feedback from our players. We're positive that our players, old and new, will enjoy exploring the new content.” says Jussi Tähtinen, CEO & Co-Founder, Nitro Games Oyj. Medals of War is currently featured by Apple in iTunes App Store in Best New Updates category in 73 countries, including the United States, Canada, the United Kingdom, France, Germany, Italy, Spain and Sweden. This is the widest featuring for Medals of War this far in terms of countries, meaning the game has additional visibility in Nitro Games' key markets. This also marks the first time the game gets featured by Apple in Europe. “This featuring from Apple supports our marketing activities with strong visibility in our target markets. With this new version, we’re seeking positive impact on game performance metrics, especially monetization, as we’re moving forward with our launch process for Medals of War and seeking to reach a wider audience for the game.” concludes Jussi Tähtinen. This company announcement contains information that Nitro Games Oyj is obliged to make public pursuant to the EU Market Abuse Regulation. The information was submitted for publication by aforementioned contact person on 9 March 2018 at 09:00 (EET).